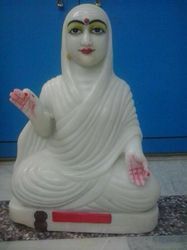 Exporter of a wide range of products which include marble statue of lord dattatry, marble statue of duttatrey, sri paada sri vallabha statue, marble round pot, marble handicraft mobile stand and shri nrusinha sarasvat statue. 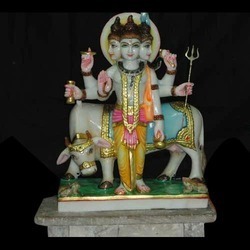 Our range of Lord Dattatray Marble Statues is made from quality marble stone by skilled artisans and artists. The range is creatively designed and depicts the different styles and patterns of god. 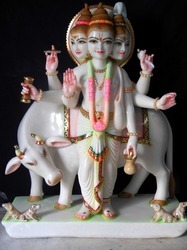 Our artisans highlight the key features of the sculpture using standard colors and engravings. These products come with a firm and flat base stand. We offer the range to our clients at very competitive prices. 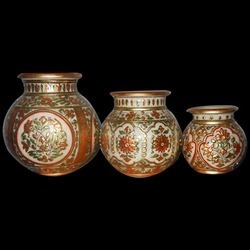 We are engaged in offering a beautiful range of intricately carved Marble Round Pots. This array is offered by us in various shapes, sizes and styles to meet the variegated client requirements. The range is made of excellent quality materials and is designed by our team of seasoned designers. We offer this range to our esteemed clients at very nominal prices. 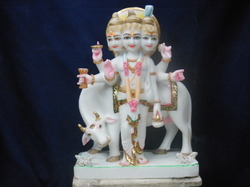 We hold specialization in offering a unique collection of Marble Handicraft Mobile Stand. 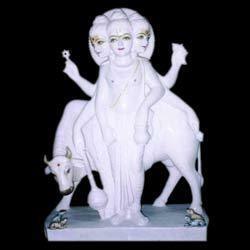 The range is fabricated using best quality marble, which is procured from our trusted vendors. This range is beautifully crafted by our designers, to offer it an ethnic yet chic look. 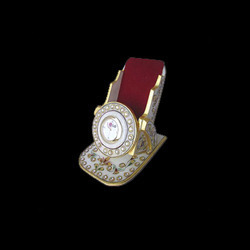 This range adds beauty to the surroundings, while elegantly and safely holding the mobile. We offer this exclusive range at very competitive prices. 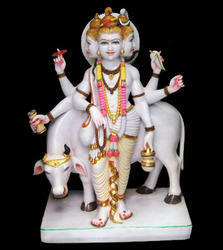 Our Lord Dattatray Marble Statue made using quality marble stone and is made by skilled artisans and artists. These are made with creative ideology to depict the different styles and patterns of god. 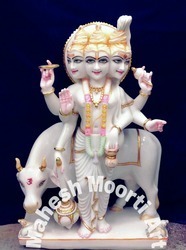 The key features of the sculpture are highlighted using standard colors and engravings. Our products have a firm and flat base stand. These are available in the market at competitive rates. 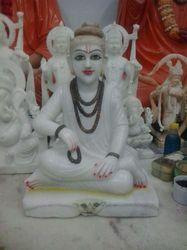 Looking for marble Duttatrey statues ?